This premium, all-terrain tire performs at its best in the worst driving conditions. 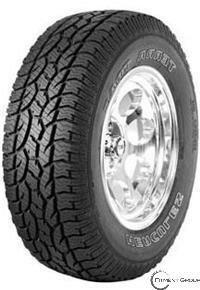 With an advanced tread pattern and an aggressive sidewall, it leaves no stone unturned. Along with strength and durability, it still delivers a smooth and quiet ride for cruising.